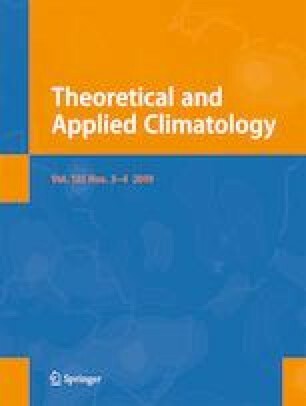 This paper provides the performance evaluation of the meteorological component of The Air Pollution Model (TAPM), a nestable prognostic model, in predicting meteorological variables in urban areas, for both its surface layer and atmospheric boundary layer (ABL) turbulence parameterizations. The model was modified by incorporating four urban land surface types, replacing the existing single urban surface. Control runs were carried out over the wider area of Kozani, an urban area in NW Greece. The model was evaluated for both surface and ABL meteorological variables by using measurements of near-surface and vertical profiles of wind and temperature. The data were collected by using monitoring surface stations in selected sites as well as an acoustic sounder (SOnic Detection And Ranging (SODAR), up to 300 m above ground) and a radiometer profiler (up to 600 m above ground). The results showed the model demonstrated good performance in predicting the near-surface meteorology in the Kozani region for both a winter and a summer month. In the ABL, the comparison showed that the model’s forecasts generally performed well with respect to the thermal structure (temperature profiles and ABL height) but overestimated wind speed at the heights of comparison (mostly below 200 m) up to 3–4 ms−1. In memory of Professor Kostas Rados. This work was carried out under the program “Archimedes III,” Subproject 10 “Development and evaluation of a high resolution atmospheric urban canopy model for energy applications in structured areas” funded by the Greek Ministry of Education and Religious Affairs. The project was conceived and initiated by Kostas G. Rados. Work and publication is in fond remembrance of him, an academic, colleague, and dearly missed friend. The authors would also like to thank an anonymous reviewer for careful reviewing of the data presented in this manuscript and constructive comments and suggestions.